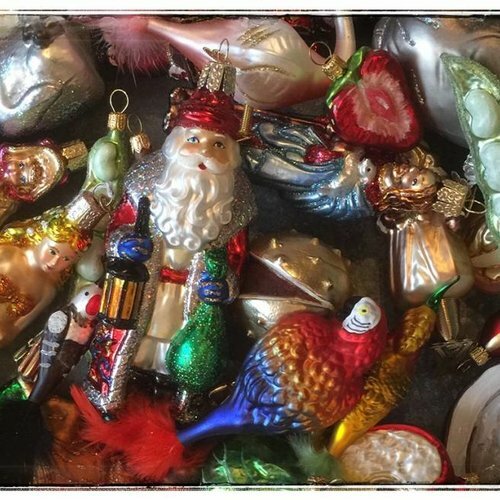 Take a look at our amazing collection of nostalgic Christmas decorations, inspired by Victorian Christmas ornaments. More than 400 different models, all made in the traditional way from mouth blown and hand decorated glass. Our collection of wonderful mouthblown and hand decorated traditional christmas decorations is inspired by victorian christmas decorations. Not only do we offer the traditional christmas figurenes for your christmas tree but also various type of christmas angels, christmas decorations in the form of animals, birds on clip, vegetables and fruit for your christmas tree and all kind of other christmas objects that will make your tree truly stand out. With our anual unique collection we wish to go back to bygone times of the victorian era.